Scott, excellent summary of the issues, as usual. One thing I would add, however, is that phonics may be more relevant in certain specific ELT contexts than others. For example, in Japan, the sounding out of words is complicated by use of an L1-derived writing system. Japanese students, even at the college level, have been taught to read English words in katakana, which shoehorns foreign sounds into a Japanese sound system. So, in fact, although students here often can already read letters and letter combinations, they often do it wrong. Both “cat” and “cut”, for example, are sounded out as something like /kattoh/, making a kind of remedial phonics, which perhaps would not be required in places such as Spain, rather important. Interesting, Marcos, and makes me think that I should qualify that last statement, i.e. that phonics is not that much of an issue to second language teachers. Clearly this depends to a certain extent on the learners’ familiarity with Roman script. On a side note, it always amuses me how Spanish-speaking students “spell” English words to one another in class, by pronouncing them as if they were Spanish. Hence “case” would be sounded out as “ka-say”. Yeah, my Turkish students did the same thing! The ‘c’ would be pronounced as ‘j’, though – so case would be “ja-sey”. I won’t get into the debate or I’ll never stop! but I highly recommend Frank Smith’s “Understanding Reading” – that’s all I’ll say. I’ve been working several years now, with voice recognition. Creating something to fill the “reading gap”. The basic problem is that children learn to read outside their own “heads” or context. The learning/content is decontextualized for the most part (koob – zort etc…). Imagine though, if children could “speak” and “read” at the same time. Using their own context, as they speak, they can see the words appear. My own idea is a story sandbox where children record their sentences, draw pictures and tell a story to learn reading from their own mind. this will be the next “leap” in reading and will help immensely I believe. Learning to read well is so important (and difficult) and I don’t have to remind anyone about the well supported research linking L1 literacy to language learning ability. I am very intrigued by this idea of software that would allow beginner readers to see the words as they pronounced them. I’m using voice recognition software as I write this, and it is quite astounding how sensitive it is. Of course, as Diarmuid points out below, the idea that learners see their words written out for them dates back at least to Sylvia Ashton Warner’s “organic reading” approach, whereby individual children volunteer their word-of-the-day, which the teacher writes for them on a card, and which they then “own”, and which becomes incorporated into their own sentences and stories. Now, I’m not being confrontational or rhetorical here, but is learning to read so difficult? After all, it seems to come pretty quickly and to both adults and children. I mean, I don’t doubt that it’s important, but perhaps we often conflate importance with the amount of effort that is or must be required? The whole area of reading is a fascinating one. I, like many of us I suspect, am a prolific reader and have been for my whole life. I can’t rememeber how I was taught, but I can remember the Jane, John and Spot books. Spare me your tears as I tell you that I have no recollection whatsoever of anybody ever sitting down to read to me at home. Nor, unlike the households in the PISA study, was my home a virtual library. However, at primary school, I was considered to be a strong reader. In some classes, we would trip down to the Headmaster’s Office where we would read and discuss books. The headmaster may have taken a shine to me and I used to go to his house on Sundays to read the Narnia books. I owe a huge debt of gratitude to Mr Woodhouse. In the meantime, a neighbour used to bring me back books from the library. Three at a time, and they would invariably be finished by the next dy. This prompted lots of comments about how much I read and how I devoured books etc. This served to inflate my ego (much in the same way that I took my father’s exasperated, “He’s got an answer for everything!” as a compliment) and I enjoyed my reputation as a strong reader. It was clearly somthing that key figures in my life approved of. On balance, then, it would seem as if a whole language approach has served me well. Opportunities for reading, praise, challenges, special treatment all lead to me becoming a strong reader. As I have mentioned elsewhere, these skills have ebbed away and I can only think that the reasons are the technological delights that tempt me away from books – plus the fact that nearly all of my waking hours are devoted to work. My kids were schooled in a mixture of whole language/phonics (the British government’s scattergun approach). They are prolific readers now too and read beyond their age range. Other kids in their class stumble and falter. I’m not going to presume that I can explain this.But they live in a house where reading remains highly prized. We buy or borrow books for them on a regular basis. They get told how useful reading can be and they are perfectly clear that we value their reading. The house has loads of books (when Eamonn was a baby, he would sit and leaf through the pages of books by Kropotkin – always Kropotkin) and they have been taught that books need to be treated correctly (ie not thrown downstairs or at people). David’s idea sounds great – but it’s already been done. Sylvia Ashton Warner took the same approach. Perhaps technology will just complicate matters! Thanks, Diarmuid, for that wonderful piece from your “reading autobiography”. It gives me an excuse — first of all — to include this extract by the writer Penelope Fitzgerald, quoted in Proust and the Squid, but which I didn’t have room to fit in my original post. She recalls: “I began to read just after I was four. The letters on the page suddenly gave in and admitted what they stood for. They obliged me completely and all at once” (quoted in Wolf 2008, p. 96). As for my own recollections, like you I was a voracious reader as a child, gobbling up library books like there was no tomorrow. But I don’t have any clear memory of actually learning to read, except that, like you, we were started with Janet and John, and I have a dim memory of, for the first time, recognising the word “aeroplane”, not least because it was the longest word on the page. Of course, there were visual clues that must have helped too. And, like you, although I grew up in a “reading household”, I have no recollection of actually being read to. Maybe my not being read to actually increased my hunger for books. But I was also a late starter, or at least a closet reader, it seemed. Because when I was about six or seven, I was held back a class, since it seemed I was still unable to read. But when I was asked to read a passage from a book I hadn’t seen before, the teacher at once realised that I could read fluently, and I was bumped up a class. It was interesting that it was the reading aloud that did it, and I’ve always had a soft spot for reading aloud ever since. This seems to me to be a wonderful blend of a Vygotskian, assisted performance, reading recovery, whole language, and holistic approach. And it comes in the context of an article decrying the closure and/or privatisation of public libraries, a cause which I know is dear to Stephen Krashen’s heart as well. Let me tell you about two young boys. Emilio is 9 years old. He is very creative, an artist, plays music, loves sport, and is passionate about books. He loves stories, is very verbally fluent, and will listen to hours and hours of Narnia or Harry Potter. He loves meeting authors, dreams of living in a house big enough to have a library of its own, and would love me to stop writing coursebooks, so that we can write stories together. However, he is dyslexic. Without a thorough and systematic approach to phonics, this whole world of written words is simply beyond his reach – he cannot make sense of it. Teaching him through phonics was like giving him a key to the library. Without it, he simply didn’t have access. My youngest son Giacomo (6), on the other hand, plays chess and wins. I think he can do this because he sees the patterns, he can see the moves. He is doing the same with language and words. They are all around him, and quite by himself, he is learning to make sense of them, to find meaning from the patterns. He has done some phonics at school, which helps, but my feeling is that he would manage without gradually. The point is that dyslexia forms a continuum. We are all somewhere on the line, either finding the written word easy to master, or finding it difficult. For those for whom it is easy, it is enough to immerse them in a world of language and books, and they will almost by themselves start to master the necessary skills. For others, for whom this is more difficult, they require a more focussed approach on the specifics, they need help decoding. To me, as a teacher and a parent, it seems obvious that we need to use both approaches in our teaching and the materials we use. If all we ever read are books about Peter and Jane, or Biff, Chip and Kipper – then we might quite possibly lose the will to live, … I mean to read. However, in small doses, this focus on decoding at word and sentence level is a useful skill, and a notable aid to reading fluency. Without it, many children simply never get up to speed, and the worlds of Tolkien and Kropotkin will remain a mystery (although they will probably just watch the videos on their ipads soon). So, we are all different, in how we learn to read, and make sense of the world, and in how we learn languages. The one-size-fits-all approach only works for some. I learn languages by talking to people and watching videos. Full immersion is fine for me. I just pick it up. My husband has been in the UK for nearly 15 years. He has had plenty of full immersion, but he doesn’t just pick it up. It doesn’t work like that for him. He likes rules, and grammar. When I’m writing, and when I’m teaching, I need to remember that not everyone in the room is like me. Apologies for such a long comment – I got quite carried away. Surely no need for apologies when you write so well, Antonia! It made me wonder, however, whether languages where the orthography and the pronunciation were more in sync – Italian, say, or Spanish- result in fewer more readily identifiable dyslexics? Surely these languages do not need phonics because letters have absolute sound values. Thanks Diarmuid, and yes, you’re right. There is a much lower incidence of dyslexia in Japan and China, for example, and also in Italy. In fact, some bilinguals are dyslexic in only one of their languages (see below). Perhaps we should just move back to Italy – problem solved! I heard some research quoted in a talk I attended in London (sorry can’t remember the source!) which suggested that one negative impact of an early focus on phonics was that it could produce readers who could sound out words correctly, but had no idea what the words meant that they were ‘reading’. I wonder how important it is to build up oracy skills sufficiently, through things like storytelling and simply talking with children, before focussing on the nitty gritty of sounding out letter combinations. Do voracious child readers like Diarmuid and Scott tend to have built up substantial vocabularies through speaking and listening first so that reading becomes a fluid, natural process, rather than a mechanical chore? This has certainly been the case with my two eldest boys. That´s an interesting point, Nick. As I said, my father once commented that I had an answer for everything ‘ and I grew up in the village store in a time when a village store was more than an overpriced convenience stop. I was also the youngest of three so had two sisters to listen to, although I can’t recall ever doing so! As the child of a shopkeeper, a lot of time was spent watching television too. Similarly, my kids spend a lot of time around adults and comments were made about Sara’s inclusion of “posh” words in her speech when she was still only about 5. It’s given me a lot of food for thought – thank you! Yes, Nick, it does seem that having a well established lexicon is a pre-requisite for reading fluency, and that being exposed to literacy practices from an eary age is a good predictor of reading ability. This, of course, accounts for one of the main differences between L1 and L2 reading. William Grabe, in his recent book Reading in a Second Language: Moving from Theory to Practice (Cambridge University Press, 2009), comments “L1 and L2 readers begin to learn to read from very different starting points. L1 students (at least in English) usually know several thousand words orally in their L1 before starting to read. Several estimates state that L1 children at age 6 typically know 5000 to 8000 words orally at the onset of formal reading instruction… [However] the abilities of L2 readers, when they are just beginning to read, do not match their L1 beginner counterparts. L2 learners with a vocabulary of 5000 to 8000 words would be considered as quite advanced learners” (pp. 130-131). Incidentally, I’m not sure where I got my own vocabulary bridgehead into reading. Unlike Diarmuid (above) I was the first child, and we had no television until I was 17. We did have the radio of course, and I was an avid listener of radio plays and soap operas, but I suspect that this was after I was already a fluent reader. Intensive systematic phonics: Teach ALL the major rules in a strict order. This is the official position of the National Reading Panel in the US, and is the foundation for Reading First, which failed every empirical test. ZERO phonics. Never teach phonics, ever. Teach phonics, go to jail. Whole language is accused of holding this position, but it never has. There is a third position, BASIC PHONICS. Not a compromise, but one that fits nicely with the Comprehension Hypothesis, the idea that we develop literacy and acquire language by understanding messages. In literacy, this is the Kenneth Goodman/Frank Smith position that we learn to read by reading, and that most of our phonics knowledge is the result of reading. Whole language supports basic phonics. Thanks, Stephen, for pointing out the difference between ‘phonics lite’ and ‘phonics heavy’ (i.e. intensive systematic phonics). I wonder if the latter is what is also known as ‘synthetic phonics’, or at least a variety of this? To quote from Wikipedia: ‘[Synthetic phonics] is a very accelerated form of phonics that does not begin by establishing an initial sight vocabulary. With this approach, before children are introduced to books, they are taught letter sounds. After the first few of these have been taught they are shown how these sounds can be blended together to build up words (Feitelson, 1988)’ . This sounds to me like the kind of ‘instructional detours’ favoured by Clay and Cazden. Synthetic vs analytic, embedded versus not embedded are descriptions that are orthogonal to heavy vs. light phonics. Scott, concerning your point that ‘free voluntary reading’ “profoundly improves our reading ability, our writing ability, our spelling, our grammar, and our vocabulary” (Krashen 1999). I know of a couple of studies (West, Stanovich and Mitchell (1993); Stanovich (1986) and my own undergraduate research -unpublished but available here: http://www.scribd.com/doc/35042683/JQ-ED3000-Project) that support the notion of widespread exposure to print (that being the quantity of an individual’s daily reading activities) leading to cognitive gains -Stanovich’s ‘Matthew effect’ describes the more an individual reads the greater their accomplishments and proficiency in complex reading tasks. Put simply, reading makes you smarter. My German students also use their L1 letter pronunciation to sound out English words, if they prove difficult to spell. Of course the key difference between English and German is that the alphabet is spoken as the letters are sounded. Once one knows the sounds any word can be relatively easily sounded out (the main difficulty for young readers and foreigners is recognising the separation of sounds in compound nouns). The phonic sounding out process is the way many children learn to read in Germany and it makes sense given the regularity of letter sounds in German. I was astounded how quickly my daughter learned to read German (her first reading language (L1R) and she used the same technique with English words, only to be frustrated that it didn’t work in the same way. Subsequently, I have used a basic English phonics method to teach my daughter to read in English, following the style she has become accustomed to from learning to read in German -it has yielded good results only slower, owing to factors described above and interference from L1R. The mismatch between the sounds of the letters and English spelling is a compelling reason to support children’s efforts to learn to read. It seems a shame that discussions about phonics, like many other areas of education or, indeed, life, become so polarised and fanatical. (I note the previous post from Stephen Krashen, who has been on the receiving end of some biting criticism over his theories). I would say do what you think works, but I could get in to trouble from some quarters (Prabhu 1990 – There is no best method, why?). Like some of the others who have posted, I don’t exactly recall learning to read -it wasn’t using phonics- but the result was the opening of a door to a wonderful world. I guess this is the kind of evidence enlisted by advocates of spelling reform. I can echo Marcos a bit in that I’m teaching in Japan, and also 40% of my students are Elementary School age so usually arrive with no knowledge of the alphabet, or arrive with the romanised version of the Japanese phonemic script. “pa” + “i” = “pai”. Compare that to “pie, try, high, I, eye”. My daughter is 6 and while her spoken English and japanese are of comparable levels, she can read Japanese books written in phonemic hiragana script quite easily but struggles with simple English books. Phonics has become “the new thing” in japan recently, with some people taking the extreme ‘phonics only’ approach that Stephen Krashen succinctly describes above. I found that most of my students responded well to basic phonics, but some struggled with the lack of context. I did some classroom research with 2 classes of Elementary school students that started with basic phonics then moved to sight words from the Dolch Sight Word list before doing repeated readings of specially written texts. (In a way this was close to the ‘alphabetics’ Stephen Krashen describes). The mixed approach worked much better in that all students were able to independently read short texts (150 words) and display high levels of understanding as well as the beginnings of text attack skills (determining new vocabulary from context in particular). I, too, once toyed with the idea of doing some postgrad research into how the inclusion of synthetic phonics (which I believe is how my kids were taught at school) into the language classroom might help Chinese and Arabic students – the latter as much with spelling as with reading. But I got distracted and went off down another path. I have seen the argument – quite possibly in Wolff’s book?- that Chinese is a most inefficient language and full literacy comes comparatively late to the Chinese novice reader. But it seems to suit a large proportion of 1.3 billion people and it seems to be bearing up over time! Of course, Chinese students embark upon their reading experience using pinyin, I am told – which seems to be a phonic-style type of instruction. As with everything, it seems that we end up falling back on a scattergun approach – we don’t know what works best and what doesn’t, so if we try a bit of everything, we are likely to hit upon something. To be fair, this seems like a fairly effective strategy as well! Incidentally, one of the things that impressed me earliest about the Macmillan Dictionary on CD-ROM (and now, probably, every other dictionary) was the way you could search it for sounds. As a result, if you typed in a sound using the phonemic chart, it would search through the dictionary and provide you with words which employed that sound. Are there any websites out there that do such a thing? I always thought that it would be a useful tool for pulling out words that employed different letters to get to the same sound. 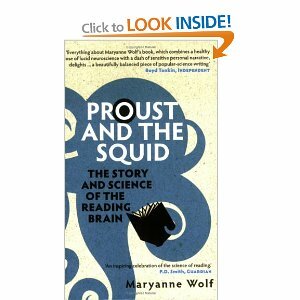 Hi Scott, this post comes right on the heels of the publication of a Japanese study indicating that brain’s focus progressively shifts from the right to the left hemisphere as Japanese children learn English. The article summarizing the study (http://www.yomiuri.co.jp/dy/national/T110224006682.htm ) says that this could mean that an effective EFL approach in children could be to start off with an emphasis on word sounds (the phonics) and then switch over to a whole-language approach as the kids get older; the language has more meaning for them; and they therefore can absorb the context that completes the picture. This could have particular value for learners in countries and with L1 languages that present particular challenges for English pronunciation, such as Japanese. Voila: compromise solution potentially established! Thanks for that, Paul. Certainly your compromise solution makes sense — and it would be interesting if this has been researched. However, I’m a little suspicious of any research which claims a simple left-brain/right-brain polarity, where it seems that the areas of the brain that are implicated in language, and in reading in particular, are not localised in this way. Again, Maryanne Wolf is my source here: she writes that “different writing systems set up their own distinctive brain networks in the development of reading” and that these networks are distributed across both hemispheres (and provides diagrams to show how). According to her, the alphabet-reading brain relies more on the posterior of the left hemisphere, while the Chinese “achieve efficiency by recruiting many areas for specialised, automatic processing across both hemispheres.” She adds “Japanese readers offer a particularly interesting example because each reader’s brain must learn two very different writing systems… When reading kanji, Japanese readers use pathways similar to those of the Chinese; when reading kana, they use pathways much more similar to alphabet readers. In other words, not only are different pathways utilised by readers of Chinese and English, but different routes can be used within the same brain for reading different types of scripts” (p. 63). This represents a more complex picture than that newspaper article suggests. I’ve discovered that the books by means of which I first learned to read – the Janet and John series – have been reissued in their original 1950s versions (http://www.summersdale.com/book/1/177/janet-and-john/) so I’ve ordered the first in the series, to see if, like Proust’s madeleine, it might just trigger some deep-buried recall of how I first learned to make sense of marks on a page! I’ll keep you posted! Thanks for this Scott. In my primary school in 1970’s Britain we were taught to read using what I think was the follow on series from Janet and John -Kathy and Mark. For the princely sum of 1p + postage http://tinyurl.com/69xd2wm I ordered a second hand copy from Amazon, following your link, and it arrived today. ‘Look, Daddy has a big box. Is that box for mother? What is in it?’ said Kathy. Phonics, or no phonics, I’m glad that my own kids have access to low level reading material which is far more stimulating that this! Thanks for that, Nick – I am preparing myself for the disappointment I’ll no doubt experience when my copy of Janet and John arrives! Speak Memory, Penguin, 1969, p. 63. I think it’s also good for all English students to know how to pronounce “nonsense words” as advertising, marketing and the products we buy are full of them. When children read to him, Danny does not criticise or correct their pronunciation. He just nods and pricks up an ear, although sometimes he closes his eyes and appears not to be listening. You can read the rest of the article (which was published in yesterday’s Guardian) here. Interesting re Danny the greyhound – this confirms a growing animal presence in UK primary schools, where he follows in the footsteps of two pigs who were introduced into a Rochdale school as a calming influence. I’m pretty sure I was taught to read by my mother, using flashcards (I found some of these years later, but don’t know where they are now). 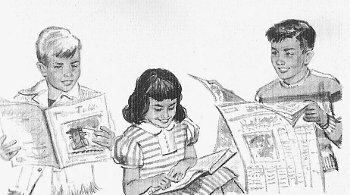 This would have matched the approach to early reading used in Peter and Jane, a 60’s update of Janet and John which featured alternative lifestyles – ok, it didn’t. It involved a lot of garden-based work for the men, often observed by the women through the kitchen window. But this Ladybird series was also based on Keywords – and the keywords were based on frequency. This feels like an important element, as many of the ‘tricky’ words are very frequent. I’m interested in the lurch from children being read to for pleasure and being given books which will teach reading. The story suddenly takes back stage as fantasy and jeopardy are replaced by very ordinary events, and this narrowing process is replicated as the physical object of the book and its world narrows to the text, and the text to words, and the words to individual letter-sounds. This may be a necessary stage, but it’s vital to keep reading out loud for fun – to keep the book as artefact, to be enjoyed in its own right. It also occurs to me that one way to promote a more dynamic early reading experience, to balance the atomisation, would be to colour-code chunks within text. So ‘a table’, for example, would appear as one element. I don’t know to what extent this has been tried. Such attempt is a start, I would say, then, awareness comes when they realise that they do not sound “English”. That preliminary, initial awareness becomes crucial later on to identify sounds as /t/-that appears to sound like their own “t”, since it “looks” very much like it when they do their silent reading! Getting the students familiar with the IPA signs from a very early stage of learning seems to be a good way of enhancing that useful awareness I was referring to. through songs, videos and cable TV, then British English – in a smaller proportion and then other varieties.